Welcome to another Blog Hop featuring the Stampers Dozen! This month are theme is "Patriotic". Of course with the 4th of July right around the corner, right? I don't know about you but I always think of our Stars and Stripes and what they represent. I hope you do too. Another thing that comes to mind is the Sizzling Hot Holiday the 4th usually is. we celebrate with Picnics and Pool Parties and Barbeques....and getting together with friends and family as it should be. So my card is kind of a combination of Patriotic with my Stars and some Sizzling Hot Colors for the time of year. I hope you like it. Please don't ever forget the significance of Independence Day.....it's very important. For my card I started with a Yellow Card Base and sponged on some Pumpkin Pie and some Read Red to give it that Sizzling Hot Look! I hope you can see the variation of color here. I did this with our Stampin' Sponges cut into wedges. The Happy word and the th at the end of the 4 is stamped in Real Red and the number 4 is cut from the Large Numbers Framelit. That matches the Number of Years Set. Now the stars were cut out using the smallest star in the Star Framelit Set and the Big Shot on the Whisper White Mat. It was then attached with Dimensionals. The number 4 was added with glue dots. That simple...I hope you like it. 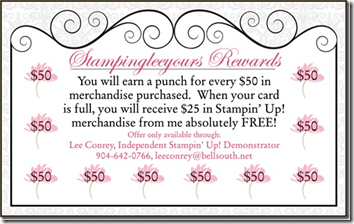 Please let me know if you have any questions or if I can help with any of your stamping needs. I'd love it and that's why I'm here. Now are you ready to explore and see what the rest of the group has done? and if you missed her please go back and see Patty Chenail who is fab too!